Reviewer: Motorola Q "Squashes" BlackBerry | BlackBerry Blast! There has been a lot of buzz about the new Motorola Q hitting the streets in the US over the past week. Engadget got its hands on one but hasn't reviewed it yet. U.K.-based T3 says "Moto�s latest handset looks sharp enough to slice and dice the king of mobile e-mailers". Should the folks at RIM be concerned? Probably. 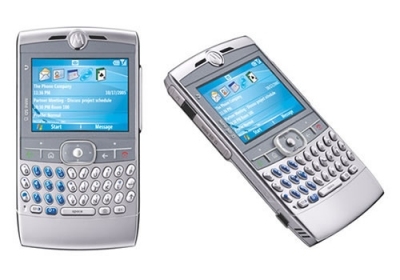 The new Motorola Q is said to be the latest attempt to take on the Blackberry. According to T3, "sending e-mail stylishly is a tall order, but Motorola�s latest handset has it licked, beating the BlackBerry at its own game with a full keyboard and RAZR sharp looks."